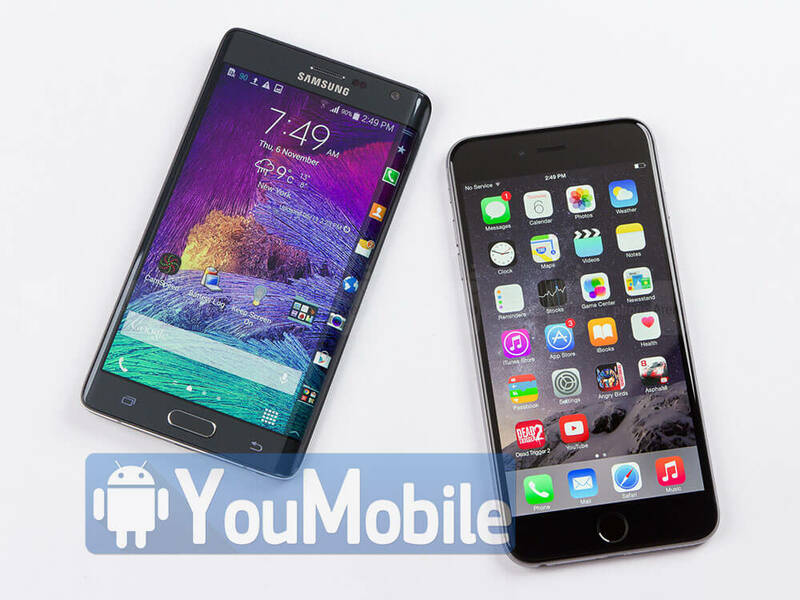 A report from a Strategy Analytics, shows that Apple and Samsung are the top smartphones vendor in the world in the fourth Quarter of 2014. 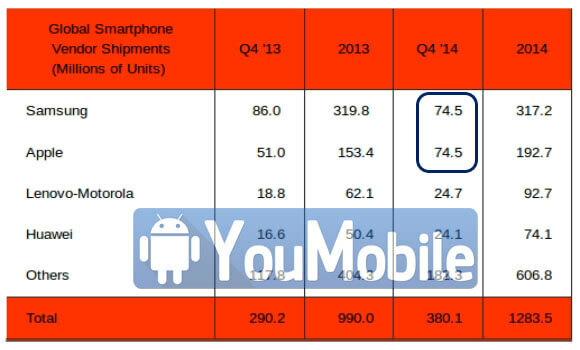 Surprisingly, Apple and Samsung sold the EXACT same amount of devices in the Q4,2014 which is 74.5 million each. For the year as a whole, Samsung remained at the top with total shipments of 317.2 million, which translates into 24.7% share of the market. This compares to 2013, when the company's overall smartphone shipments stood at 319.8 million, giving it a 32.3% market share. Samsung continues to face intense competition from Apple at the higher-end of the smartphone market, from Huawei in the middle-tiers, and from Xiaomi and others at the entry-level," the report said, adding that the company "may soon have to consider taking over rivals, such as Blackberry, in order to revitalize growth this year.